Food – Love your own cooking! Be happier and healthier when you cook and eat at home! I started life in mainland China back in the late 70s. Luckily, I was born after the major hard times of famine and strife. Food was still rationed, though. Meat was especially scarce. Therefore, every bit of meat was precious, down to the bones. So my family, and everyone else like us, learned to cook to ensure nothing was wasted, and every thing tasted good. Bone broth was a staple in our diet. Who knew we were ahead of the food trend by, like, decades. I still cook using a lot of those old customs. For example, I prefer meats with bones. It doesn’t matter if I’m preparing chicken, beef, pork or venison. Bones impart natural flavor to any roast or stew. After hours of slow roasting, those bones slides right off the meat to be tossed into a pot of cold water for a nice broth. 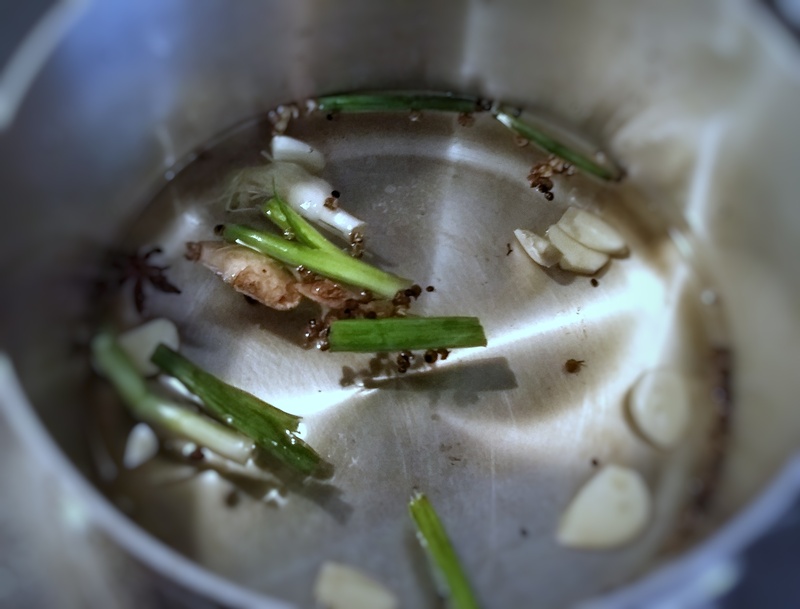 Add anise, garlic, slices of onion (green and/or white), and a few slices of ginger to the pot of water and bring the whole thing to a boil. Then immediately lower the heat and let it simmer for a few hours until it turns a golden brown. The longer it cooks, the richer the broth. I’ve cooked broth for a whole day using this method, so the time really depends on how intense you like your broth. But the stovetop method should yield broth after 2-3 hours. Once that golden color is achieved, pour the finished product through a strainer into a clean bowl before serving. I don’t mind the oil at the top of the broth, but it can be easily skimmed off the top once the broth boils. Or you can wait till the broth is done, strain it into a container, and let the whole thing chill in the fridge. Remove the layer of white solids from on the top before using the broth however you’d like. Yes, you can use a slow cooker to make broth. It may take a day or two, but should yield similar results. What happened if you just have a piece of raw bone with very little meat? First of all, don’t worry about any bits of meat and gristle. I bake the entire bone on a foiled cookie sheet, with a light drizzle of oil, at 350 F for about 30 minutes. Then, toss it into the pot of cold water with seasoning as recommended above. I just think the flavor is deeper and more robust when the bone is roasted a bit first. 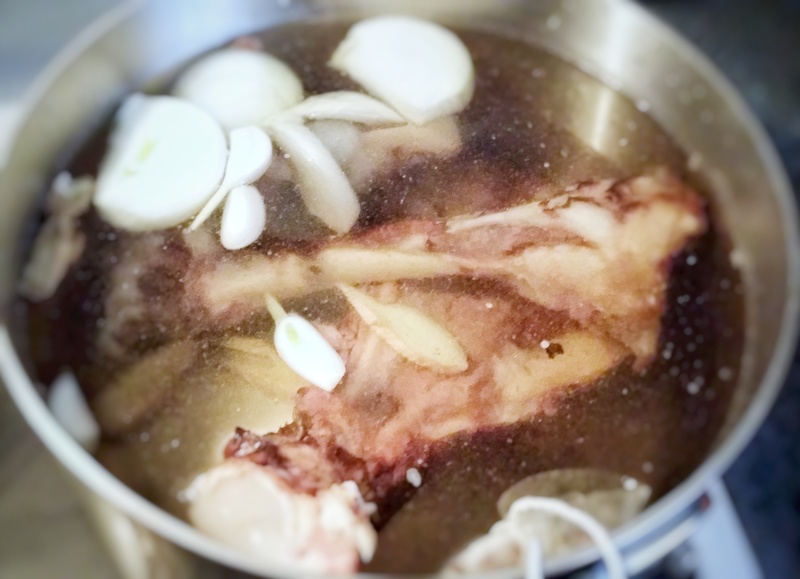 Bone broth can be enjoyed as is. Or it can be stored, frozen, to be used in soups. 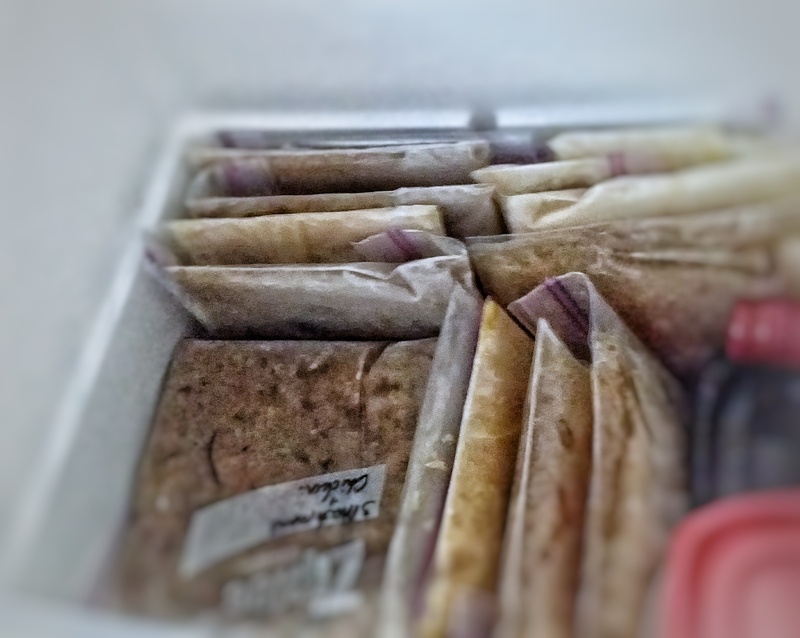 This is how I store frozen soups and broths, to be used later. I’m obviously not the most organized. 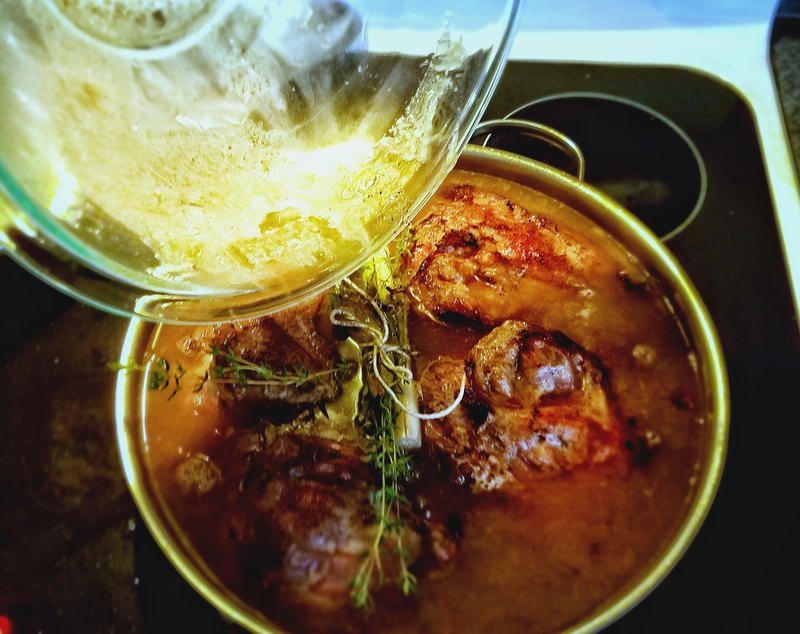 It happens to be my favorite braising liquid. It takes a few steps to get a great broth, but I love the flavor more than store bought. I think you will too. 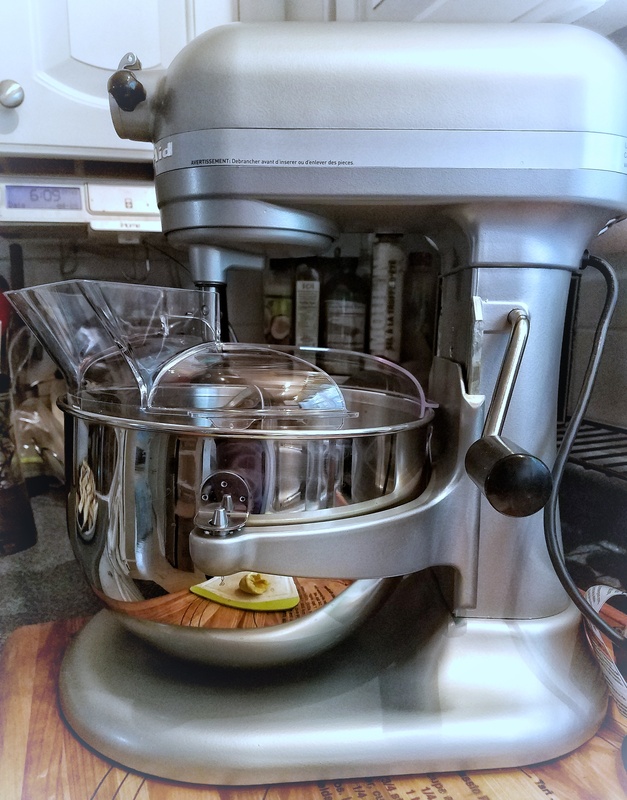 What a better way to get back into food blogging than with an entry on my new kitchen gadget. 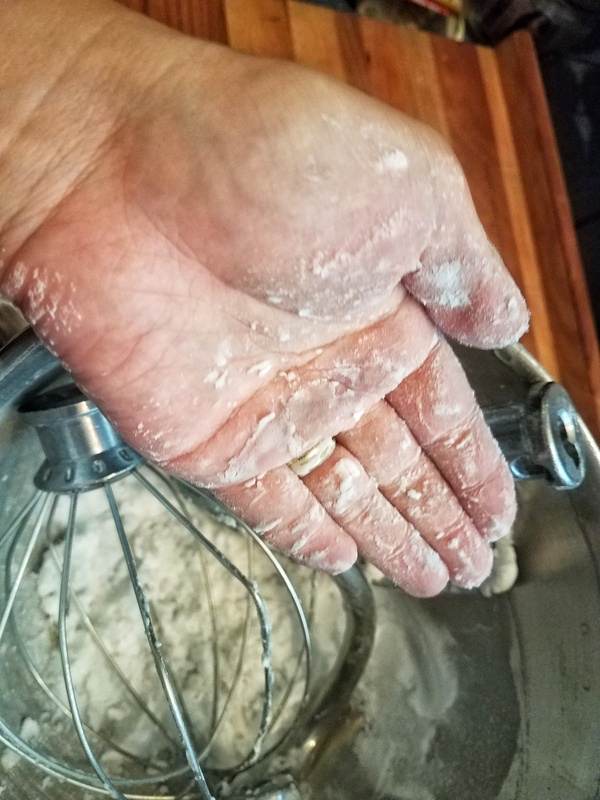 Now many of you have had a stand mixer for decades. So it would seem after talking to all my fellow home chef friends. I’m simply someone who got use to cooking a certain way, without gadgets and gizmos. But we must all embrace the future. I’ve read somewhere that the bowl and attachment must first be cleaned with a baking soda paste that simple dish soap will not remove. That was the first thing I did. Luckily. Notice how the baking soda turned grey. Then, I strapped on a weight belt and some lifting gloves to move the thing into place. Yes, it’s heavy! With a 575 watt motor, I pray it will withstand the torture I’m about to put it through. Should I give it a name? 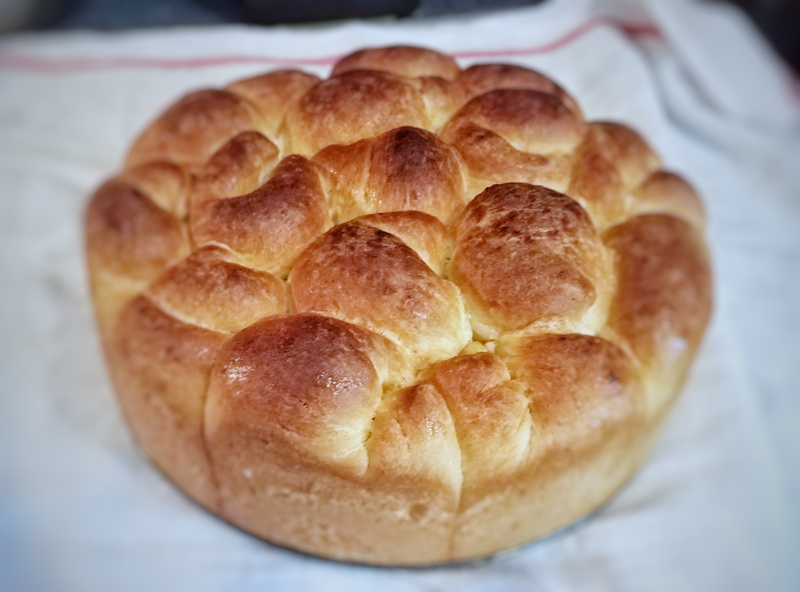 I decided to ease into it with a simple bread roll recipe. I’m loving the gentle purring of its motor as we went for our first spin. In conclusion: I should have gotten one sooner. 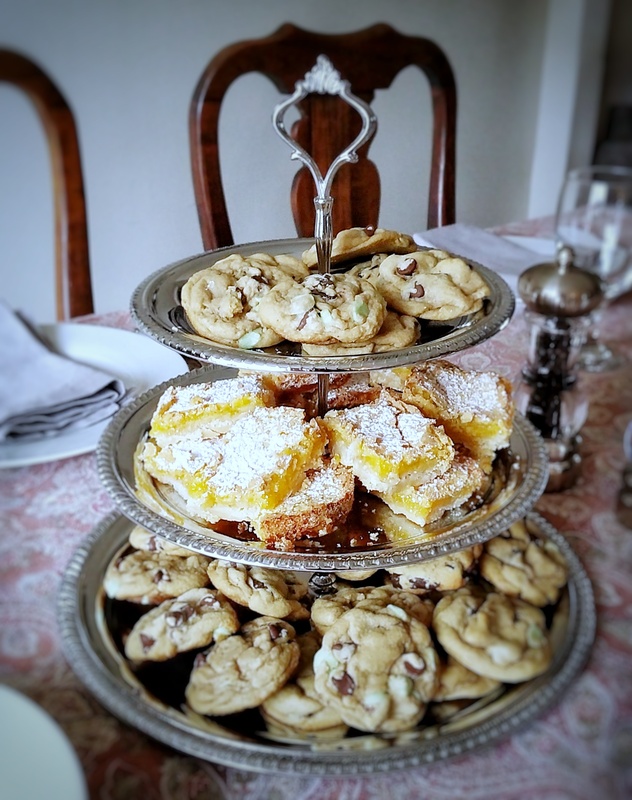 A fan favorite amongst my friends are lemon bars. They’re ridiculously easy to make. In a bowl, combine the flour, butter and confectioners’ sugar. With your fingers, press into an even layer in an ungreased 8 x 8 in. square baking pan. Bake at 350° for 20 minutes. While the crust is baking, beat eggs in a small bowl. Add the sugar, flour, baking powder, lemon juice and peel. Continue to beat until frothy. Pour over the freshly baked crust and bake 25 minutes longer or until the top is a light golden brown. Let it cool for 2 hours on a wire rack. Dust with confectioners’ sugar before cutting. Now you may double the ingredients to bake into a 9 x 12 sheet, but I’m personally a fan of the crispy and crusty edges. So I’d bake in two separate 8 x 8 pans. Baker’s choice! Enjoy! I don’t think its fair to only talk about successes in the kitchen. 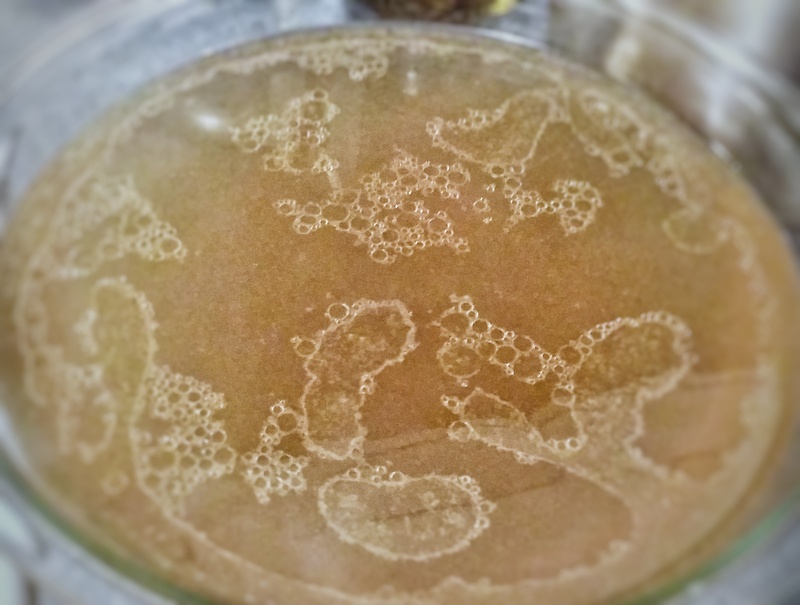 Recently, I had a series of failures as I tried new recipes. Sometimes, even a tried and true recipe won’t come together for some reason or other. I know I’ve felt discouraged by a series of failures. Giving up just feels so tempting. Nothing anyone can say will make it less tempting if you can’t convince yourself to keep going. This post was inspired by this dulce de leche chocolate brownie I recently attempted. The dulce de leche came out very thin, but I insisted on using it in this brownie anyway. I took it out of the oven after an hour and still it did not set. One mistake followed another. I managed to salvage the flavor of it at least. This brownie disaster made me think back to all my other kitchen failures and I wish I had taken photos of each and every one of them. It may seem trite, but I did learn so much from my mistakes that it feels a bit disingenuous not to share with you. It ought to serve as a reminder that you may not always love your own cooking, but you’ll keep trying . Lucia’s right that chocolate chip cookies are the easiest treats to make ahead, freeze and bake as you need them. There’s a lot you can do with the original chocolate chip recipe to vary up the flavor and texture too. **ADD additional flavoring and/or food colors for a more exciting chocolate chip cookie. I sometimes add few tbsp cocoa powder and 1/4 tsp mint extract for a mint chocolate chip cookie. Yum! 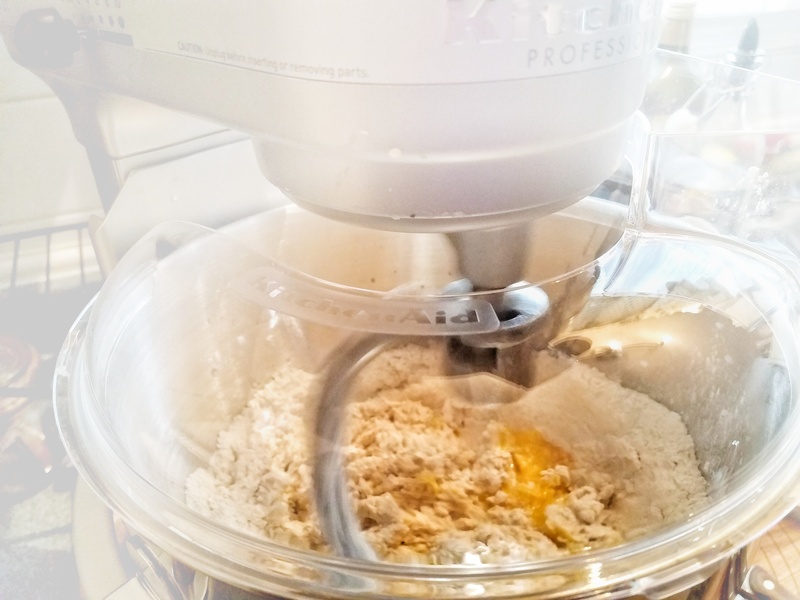 Mix the flour, baking soda, and cornstarch in a large bowl. (Some may add 1/2 tsp of salt. I leave the salt out for a mildly sweet cookie) Set aside. Pour the wet ingredients into the dry ingredients and mix together with a large spoon or rubber spatula. Mix completely before folding in the chocolate chips. 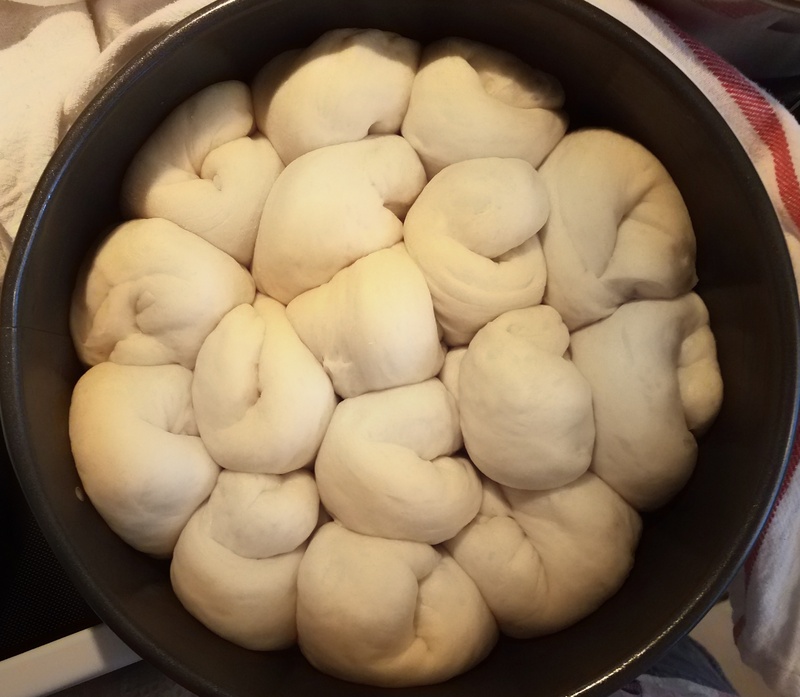 Cover or bag the dough and chill for at least 3-4 hours. You can even shape the dough into balls and freeze them in an airtight don’t for future bakin. 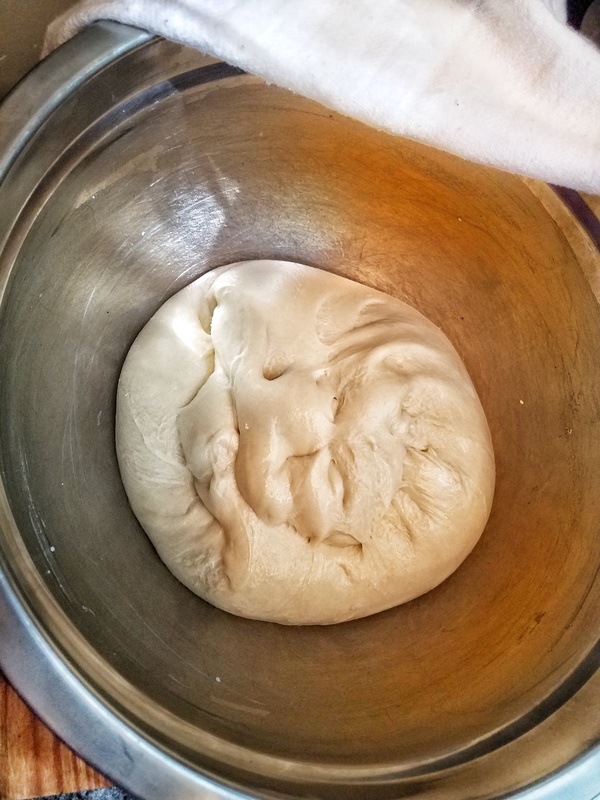 Take the dough out of the refrigerator and allow to slightly soften at room temperature for a few minutes. Preheat the oven to 325F degrees. Line two large baking sheets with parchment paper or silicone baking mats. Set aside. 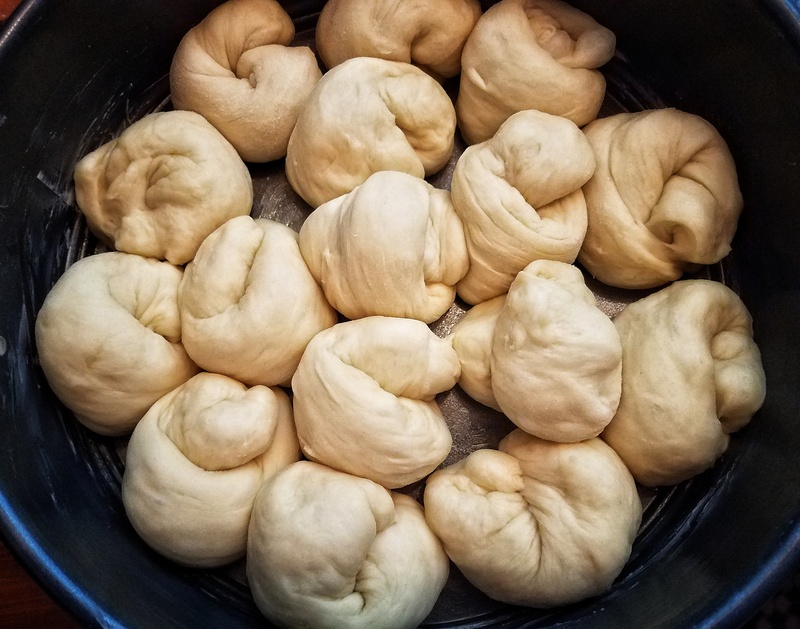 Roll the dough into balls. Bake the cookies for 11-12 minutes. Remove from the oven and let them sit on the cookie sheet until cool to the touch. Then, move them to a wire rack to cool completely. In a bowl, combine the flour, butter and confectioners’ sugar. Pat into an ungreased 8-in. square baking pan. Bake at 350° for 20 minutes. For filling, in a small bowl, beat eggs. Add the sugar, flour, baking powder, lemon juice and zest. Beat well. Pour over the crust and bake for another 25 minutes. Cool on wife rack or stove top. Dust with confectioners’ sugar before cutting. Will keep up to a week in the fridge. **Feel free to add a half cup of chocolate chips, walnuts and/or other ingredients to make more interesting blondie. Heat oven to 350 F. Line an 8-inch by 8-inch baking pan with parchment paper. In a medium bowl, stir melted butter and brown sugar until blended. Add the egg, vanilla, almond extract (optional) and salt then stir vigorously until smooth. When the batter looks well blended, add the flour and stir until no more streaks of flour remain. Stir in chocolate chip, nuts or dried fruit (if using). Spread the batter evenly in lined pan and bake 20 to 25 minutes until a toothpick inserted into the middle comes out relatively clean. Cool then cut into 16 squares. Like most couples who work (Todd’s an engineer. Renee works evenings as a pediatric nurse) and being parents to a toddler, they must strike a balance between work and family life without neglecting their health. That takes a lot of hard work and dedication. Renee’s tried other diets with a degree of success. However keeping the weight off proved more challenging since she had her child. 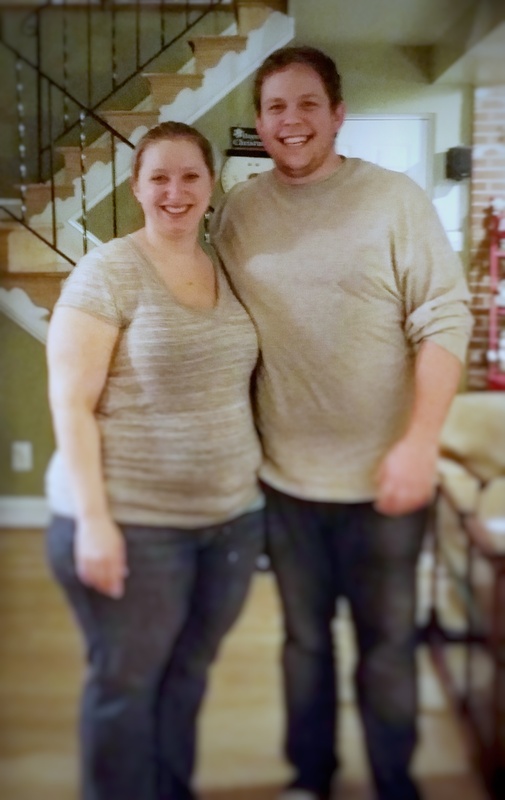 So Todd and Renee did their own research and decided to give ketogenic eating a try. For Renee, just trying ketogenic eating has proven difficult. She, like millions of us, grew up being told eating fatty food will lead to heart disease and other health problems. It seems to make sense that cutting out fat would help shed the fat from our bodies. Only it’s been several decades of fat-free diets… well if you’ve tried them and you’re reading this now, you know effective those diets have been. Now the medical community is starting to change its tune. They’ve used ketogenic to treat epilepsy. Now, just think of this: when you eat fatty, satiating foods, how quickly do you become hungry again? When you eat less overall, wouldn’t you lose weight? So here’s a simple meal suggestion I came up for Renee and Todd. It’s not very stringent and asks them both to be a bit creative. My friend Renee’s a coffee drinker who prefers to mask the bitter notes in coffee with cream and sugar. Instead of sugar, she will try honey, 1/4 teaspoon at a time. She will also add heavy cream to her coffee to help her feel fuller, faster. She will also try bulletproof coffee. Blend well in a regular blender. If the shake is too thin, add 1/4 of a frozen banana but there’s sugar in bananas so take care not to use too much. Blend well. Again, add 1/4 of a frozen banana to thicken the shake. What happens when Renee craves something between meals? Her work as a nurse means her schedule is hectic, and she’ll eat when she can. One solution I recommend for her is the phat fudge. I showed her the whole process from making the almond butter to pouring the finished concoction into ice trays. It took 30 minutes. Suggestion 1: Aside from duck, lamb, rib-eye steaks and pork belly, there are other cuts of meat that are fatty and work very well in a slow cooker. Get a cut of beef or pork that has nice veins of white, and plenty of gristle, like pork shoulders or beef chuck. These “cheaper” cuts tend to cook better in the slow cooker. Ketogenic eating, this is an easy is all about consuming more fat. Marinate the meat in salt, pepper, and 1/4 cup red wine or balsamic vinegar. Keep the marinated meat in the fridge for up to 8 hours. Then heat a frying pan with a little bit of oil. Sear the meat on the stove top on all sides will the outside is golden brown. Transfer the meat to the slow cooker. Without washing out the pan, toss in diced carrots, celery and onions and saute that in the same pan until the onions start to grow soft. Then transfer the vegetables into the slow cooker. If there’s a bit of marinade juice leftover, pour that over the meat. Let the meat cook for 24- 48 hours. Remove the meat and separate that into as many meals as you like. Freeze some if not using all within that week. Add a salad to the meal with a simple oil and vinegar dressing, or lightly sauteed vegetables. Suggestion 2: When there’s a lot of leftover meats in the fridge, the easiest way to create a fresh dish without growing tired of the same old thing is to make a stir fry. The Chinese stir-fry method is very misunderstood. It can be made with any combination of meats and veggies and it doesn’t require soy sauce. I almost never use soy sauce when I stir-fry. Start off by adding 1 tablespoon of vegetable oil (I use olive oil) in a frying pan and let it heat up. Dice up up some onions and garlic and toss into the pan. For added flavor add a few slivers of ginger. (There’s no need to peel ginger. I only recently read on a cooking site that people peel ginger. Why?) Anyway, add these simple ingredients to the heated oil and saute. After this step, toss in any vegetables you have on hand with a sprinkling of salt and pepper. Then add your leftover meat dish. Wait till the vegetables are cooked to your seared doneness. Voila! Stir fry! Suggestion 3: A very simple salad of just leafy greens and avocados is a nice side to a fatty main dish. There’s no need for store bought dressing, with all the preservative they contain. Just a sprinkling of salt, pepper, a splash of MCT oil and balsamic vinegar. As I mentioned in a previous post, you can also use any leftover crockpot roast meat to make a heartier salad for lunch or dinner. With these simple methods, you can create an infinite number of keto-friendly meals. I recommend starting out gradually. Do cut out refined sugars, and processed sugar products like ice-cream and cakes. However, try a less sugary fruit like berries to satisfy those sugar cravings. (1 cup of strawberries contains about 7 grams of sugar.) Have a glass or two of red wine with dinner. Just be conscious of what you eat and wean yourself off from sugar and carbohydrates dependency. I’ll document Todd and Renee’s progress in the coming months. So check back often to see how the ketogenic eating has been for them.